Health and Well-being: Recognition Awards - Open for Nominations! Recognition Awards - Open for Nominations! Nominate an outstanding peer or co-worker today! 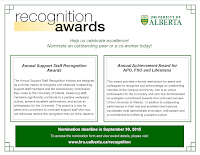 Nominations are currently being accepted for the Annual Support Staff Recognition Awards and Annual Achievement Award for APO, FSO and Librarians. 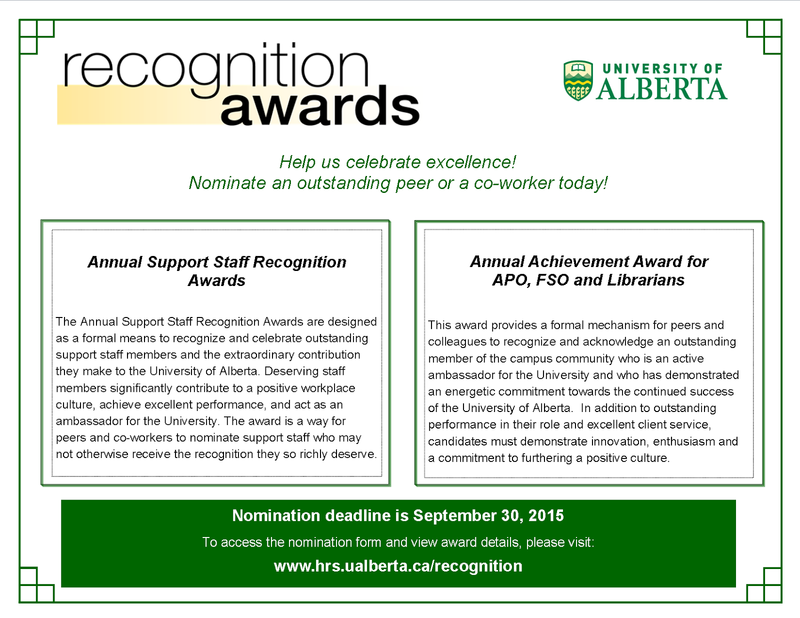 To access the nomination form and view award details, please visit www.hrs.ualberta.ca/recognition.